Mallory has experience conducting and analyzing trademark availability searches, filing and prosecuting U.S. trademark and service mark applications with the U.S. Patent and Trademark Office, as well as prosecuting opposition, cancellation, and other proceedings before the U.S. Trademark Trial and Appeals Board. She also has litigation experience preparing and responding to Discovery Requests and with Motion Practice, generally. Mallory has extensive experience with new generic top-level domain name (gTLD) applications and brand protection in connection with new gTLD applications. 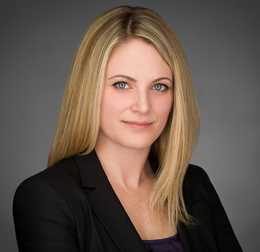 Mallory worked as a contract lawyer for a Fortune 200 Company where she gained experience in domestic and foreign trademark enforcement and brand protection, the prosecution of new gTLD applications and the assessment of trademark portfolios for the submission of trademarks to the Trademark Clearinghouse. Mallory also has experience filing and prosecuting copyright applications with the U.S. Copyright Office, as well as performing copyright clearance/infringement review.